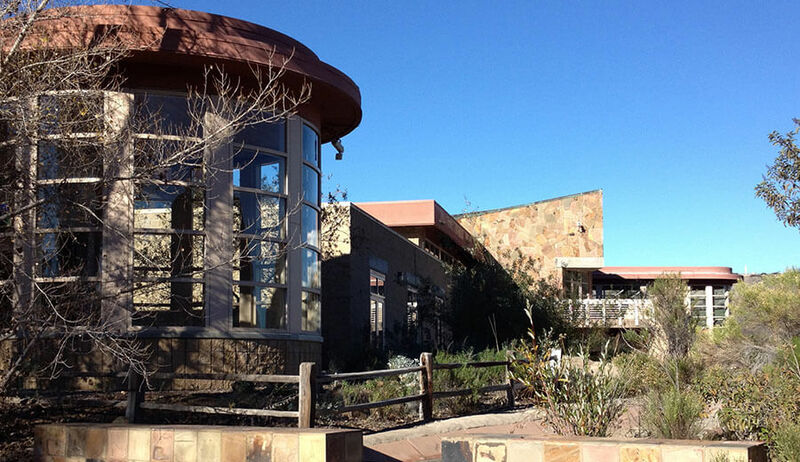 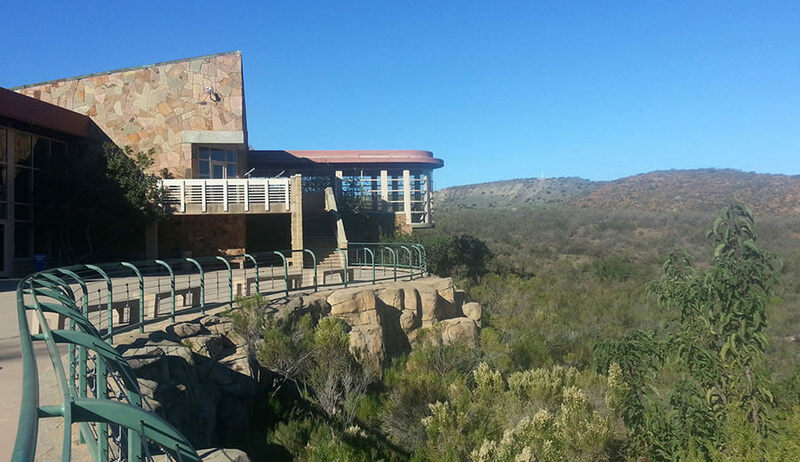 The Mission Trails Visitor and Interpretive Center is the focal point for Mission Trails Regional Park, the largest urban park in the United States. 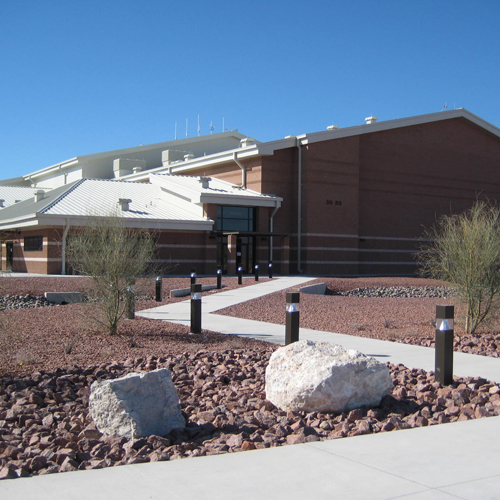 The center consists of a 14,081-square-foot, two-story split-faced masonry building with mixed slate veneer, exposed native granite rock, glass curtain wall, and exposed architectural quality wood framing. 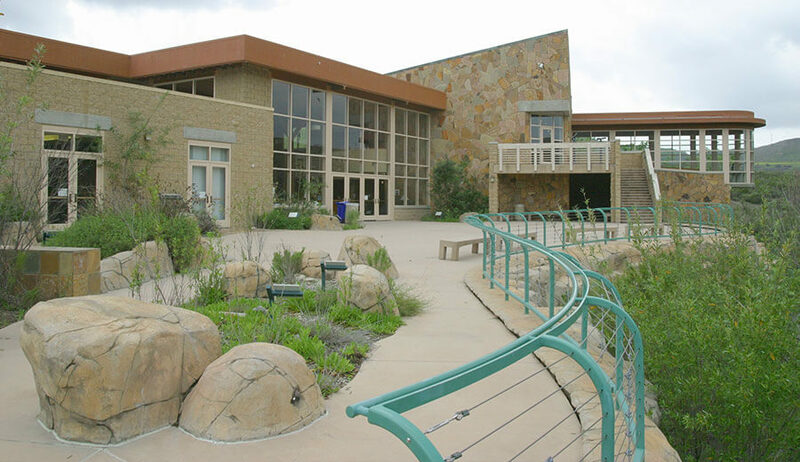 The facility features a vast exhibit area both inside and outside the building structure, with such features as a solstice observatory, a replicated historic water flume, sculpted and replicated rock work, bronze-sculpted animals, natural historic exhibits, Native American exhibits, plant and geological displays, extensive exhibit case work and furnishings, exhibit graphics, special exhibit lighting, and a computerized audio-visual media display system. 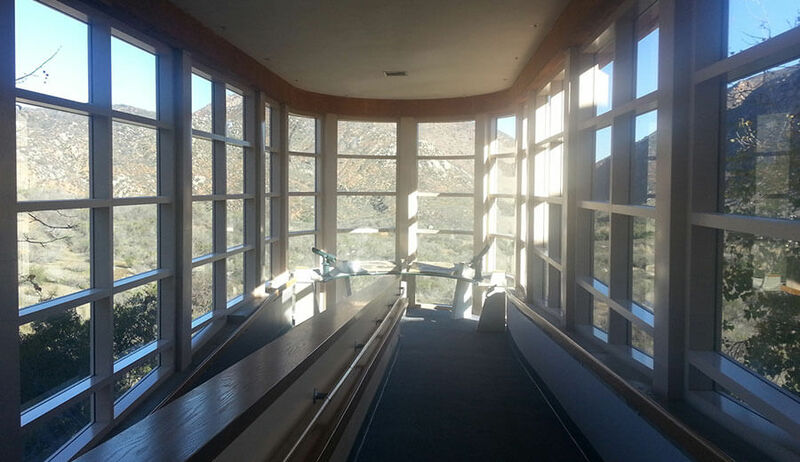 Additionally, the structure contains several classrooms, an auditorium, ranger’s office, restrooms, and a 180-degree library with 16-foot-high glazing, extensive millwork and slate finishes.